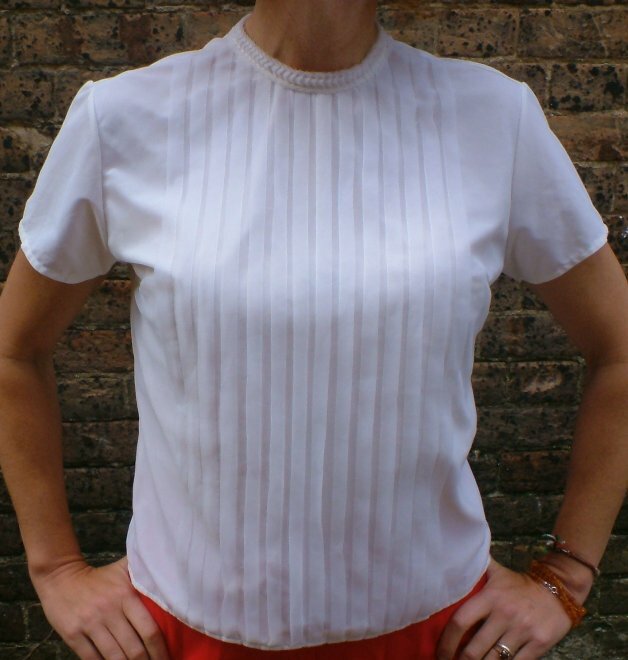 Vintage 1950s white pleat-fronted blouse. 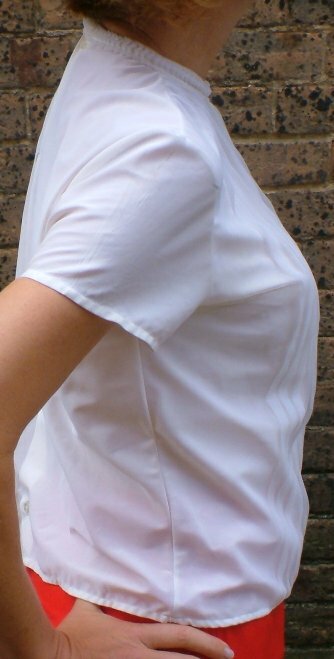 Neat and pretty, and so of its time, this little blouse will look great whatever you team it with! 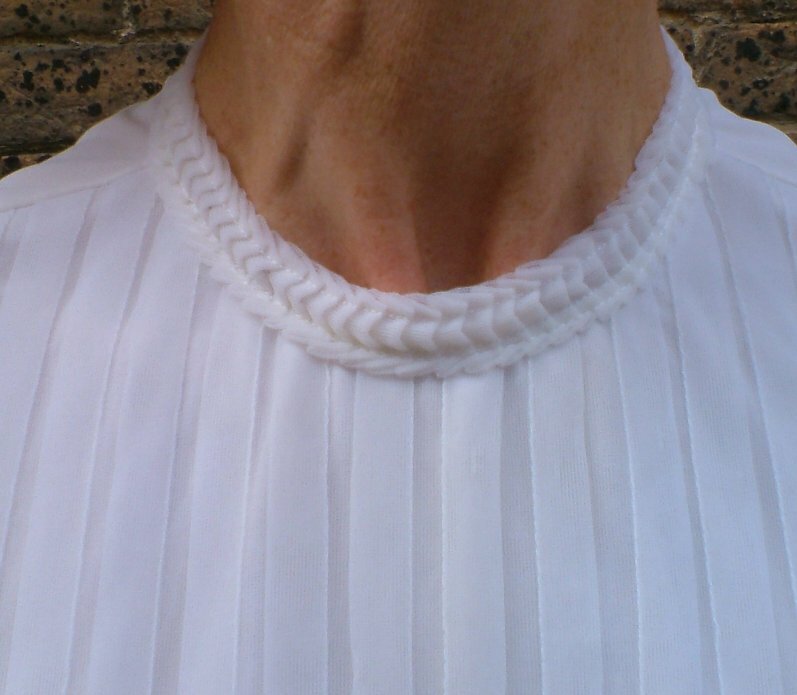 It's made in two layers: the upper is nylon, which is gathered into long, vertical pleats at the front and fancy ruching at the neck, and the underneath is silkier to the touch and is sheer. 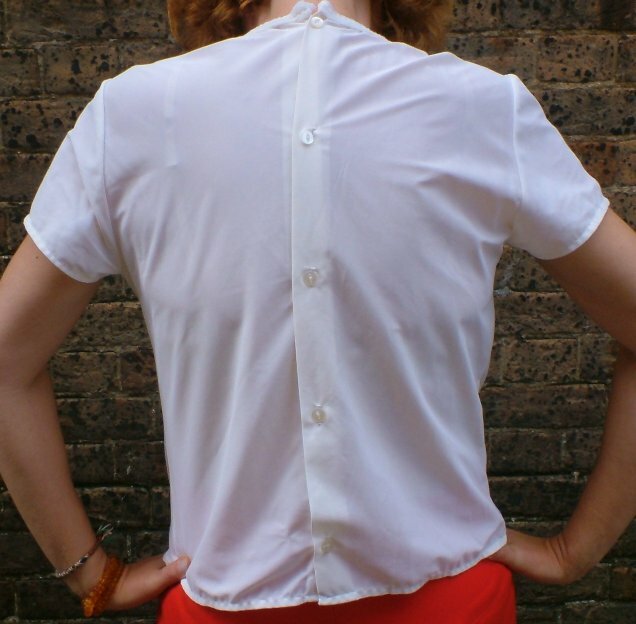 It's quite fitted, has short sleeves and fastens at the back with buttons. There is one label, which states simply 'NYLON'. It carries its years well, with no apparent faults, fading, stains or marks, and will best fit a modern UK size 12 or 14. 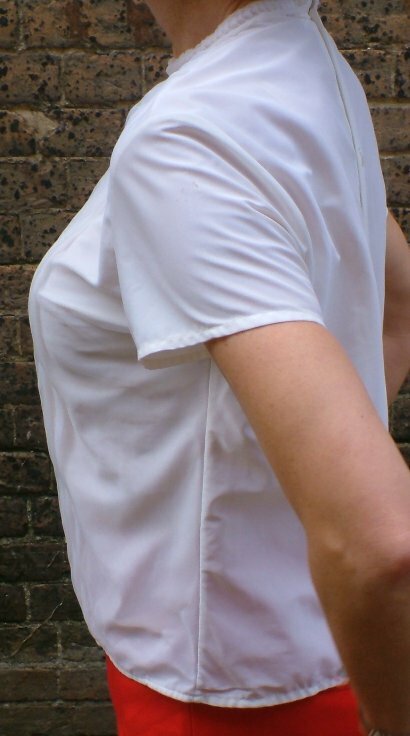 Approximate measurements are bust 37 ins/94 cms, length from back of neck 21 ins/53.5 cms.